Help your members stay motivated and fight the urge to drop their fitness routine with these seven tips. The holiday season brings with it a whole lot of distractions. Shopping for gifts, decorating your home, attending holiday parties, and visiting with relatives can all make it difficult to stick to healthy routines. Then there’s the travel. The holiday weeks, from late November to early January, are the busiest travel times of the year. Add to that the inclement weather in many parts of the world during December, and you can see how easy it is for your members to take a break and “get back into it” after the holidays. So how do you keep your gym’s members engaged through the distractions and stress of the holidays? We’ve put together some tips and suggestions for just that. The element of competition can add an extra motivator to keep members engaged with the club despite busy schedules. Some clubs run challenges throughout December, with a points system and prizes awarded for attending classes, working out, and attending club events. New, temporary offerings can help get people excited about coming in during the busy holiday season. For example, try shorter, higher intensity classes to appeal to busy members, or meditative yoga for those feeling stressed by the season. Some gyms have also offered special, large classes on Christmas Eve or New Year’s Eve. Fostering a sense of community is great for retention, and social events can help build that community. Try running a special workout, a racquetball or squash tournament, holiday race, or throw a holiday party at the club (or off-site). If your members work out while traveling, they’re more likely to keep up with their workout regimen once they’re home. If you’re enrolled in The IHRSA Passport Program—a free IHRSA member benefit—your members who travel during the holidays can enjoy discounted guest privileges at a worldwide network of participating clubs. Beginning in 2019, The IHRSA Passport Program, powered by TrainAway, will make it easier than ever for your members to search for and purchase discounted gym passes at a participating IHRSA club using a mobile app. If you’re an IHRSA member, enroll through TrainAway to get started. During the holidays, many businesses partner with charities in their community. For example, clubs have raised money for charities like the Santa Foundation or set up collection sites for local food banks or Toys for Tots. If members stay fit on the road or when they don’t have time to come to the club, they’ll be much quicker to resume their routine after the holidays. Try offering resources like at-home workouts to help them maintain their fitness. 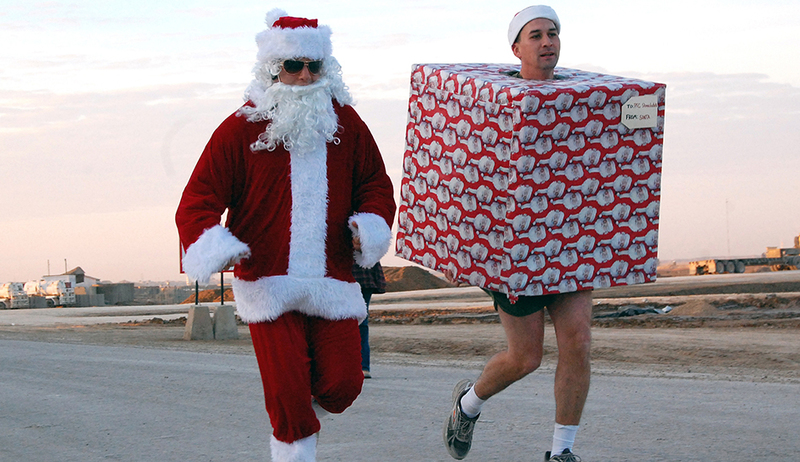 Not only does wearable technology make a great holiday gift, it can also be a useful addition to club challenges and programs. For example, clubs can host step challenges to help keep people moving around the holiday season. Our member-exclusive e-book “Wearable Integration 101” will help get you started. Nearly 11% of all health club members join their gyms in January, but 80% of New Year's resolutions are abandoned by February. Here's how to help your members beat the odds. How wearable fitness trackers can boost health club member engagement and your bottom line.